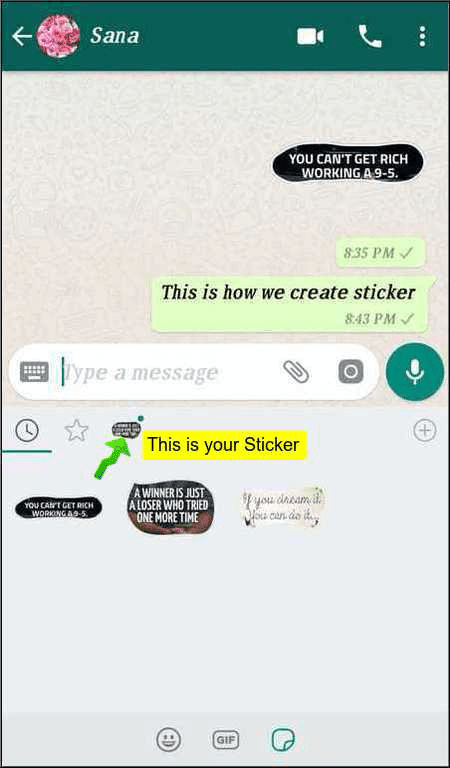 Today I am going to show you how you can make stickers on watsapp. Follow the Steps given below. Step 1 : First go to Google Play Store and download this app called "Sticker maker" . Now click "open" . 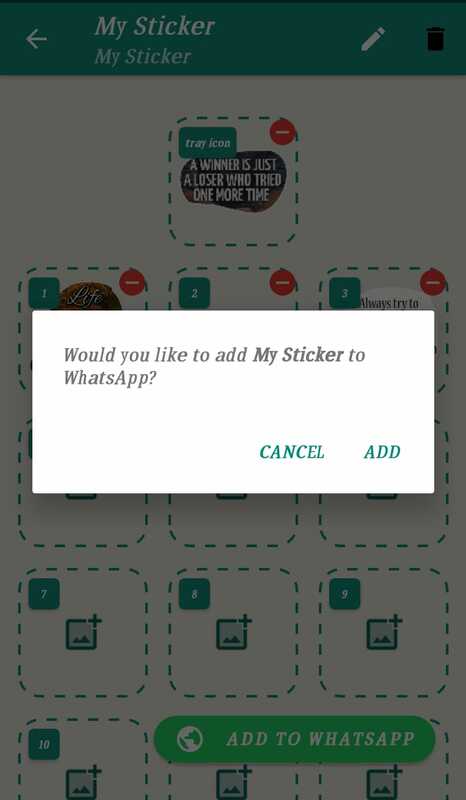 Step 2 : Now you will see the screen like this given below.Now press "Create a new stickerpack"
Step 3 : Now this screen pops up. Write the Sticker name , whatever you want and write the name of the Stickerpack author. You can write any name here as your wish. After filling both the name , Click on "Create" . Step 4 : Now you will see the screen like this given below. Simply Click on this button showed by green arrow. Step 5 : When you click , you will see this screen. Simply Click on "tap icon". 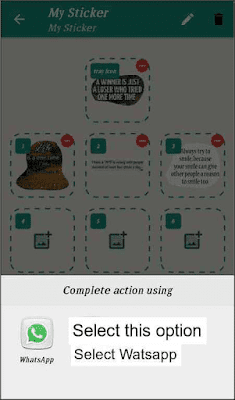 You will directly get access of your mobile albums and pictures . 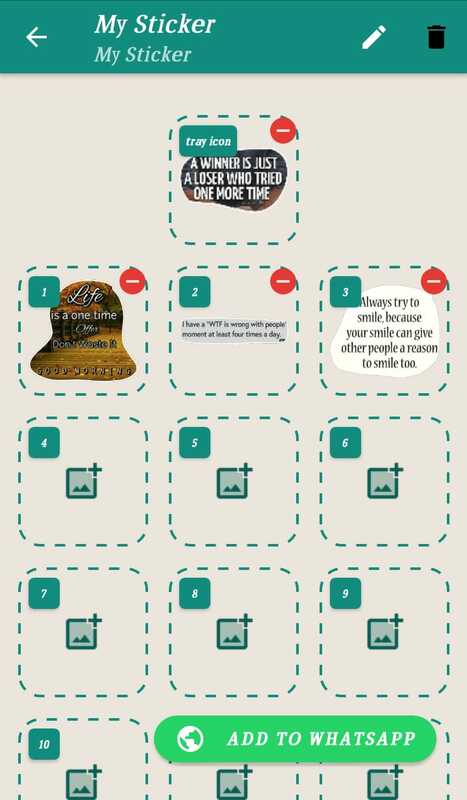 Step 6 : Select any picture from your cell(Mobile) album . I have selected this one to make a sticker. 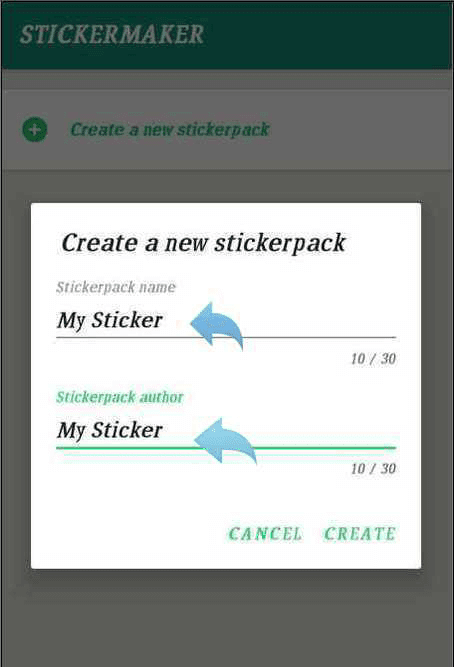 Then use the "Freehand" option and slightly make borders with the help of your fingers to make a sticker. 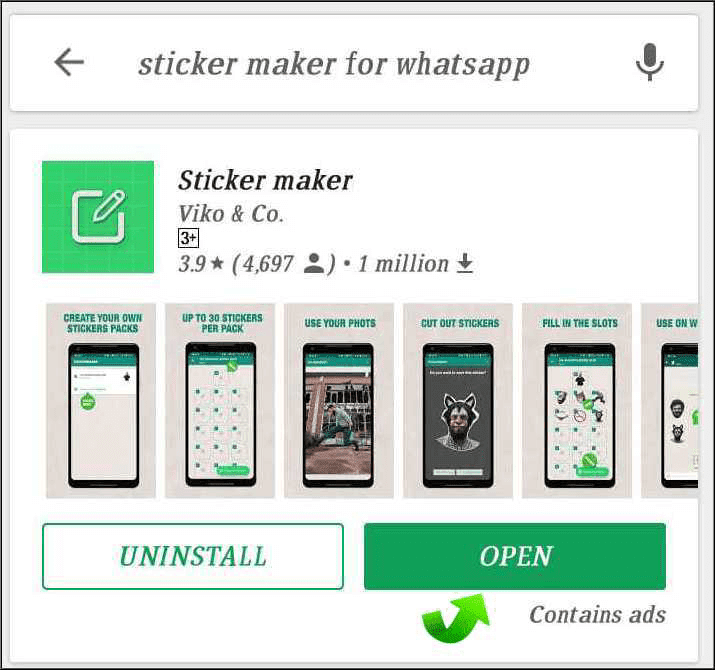 Step 7 : After you have selected the portion to be comes out to be a sticker , you will see the screen like this given below. 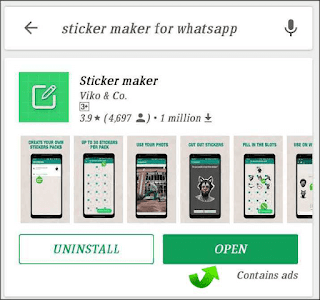 If you want this portion to be used as a sticker , simply click "Yes Save Sticker" button and if you want to do some edit you can click "No, Try Again" option. 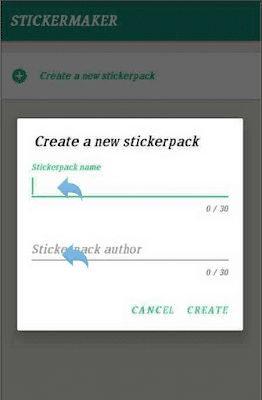 Step 8 : In this way , you have to create minimum three pictures to make your sticker pack. 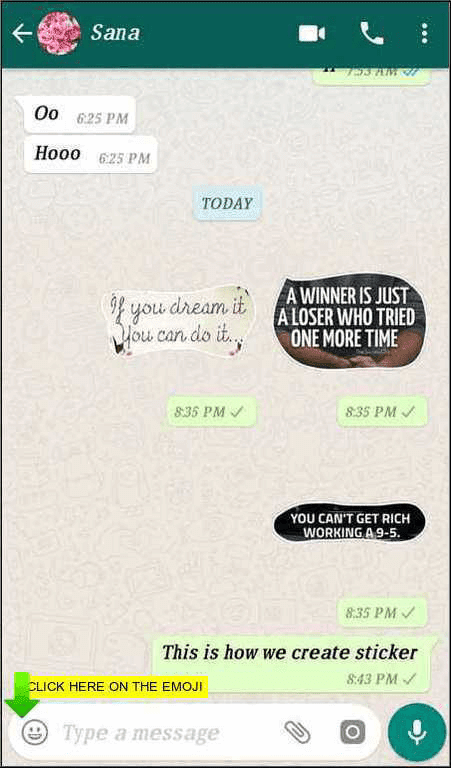 Step 9 : Now its the time to add these stickers to the watsapp . 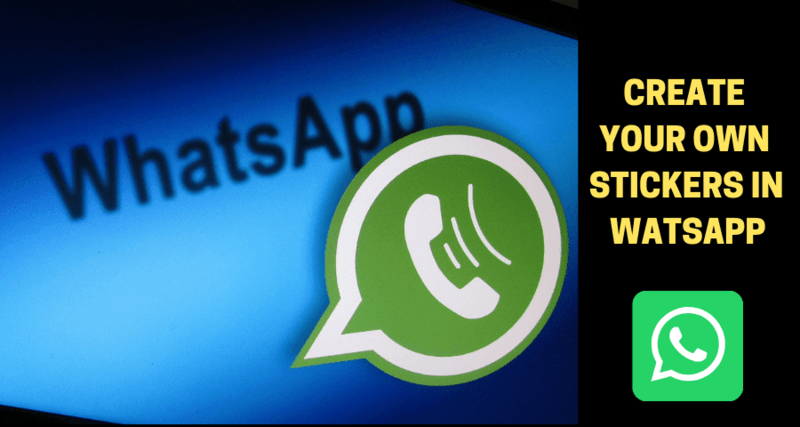 Click on the "Add to Watsapp" button given below. Step 10 : When you press "Add to Watsapp" button , you will be asked for adding this sticker pack to your watsapp. Select Watsapp and then click add. 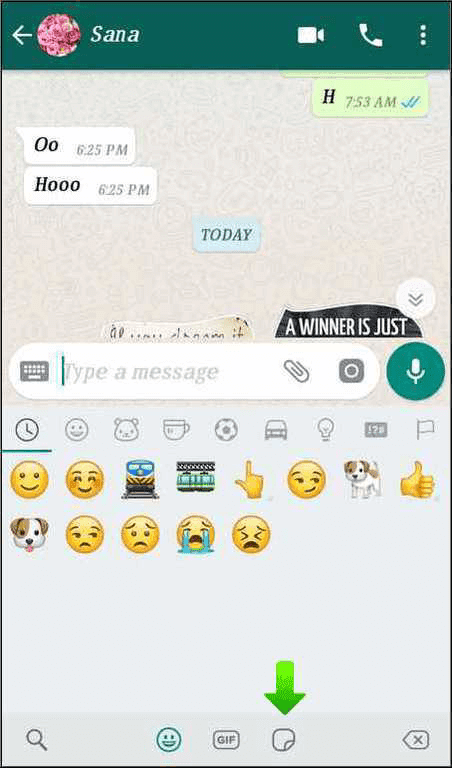 Step 11 : Now open your Watsapp App from your cell or mobile and select somebody to send your own made stickers and click on the emoji shown by green arrow in the picture given below. 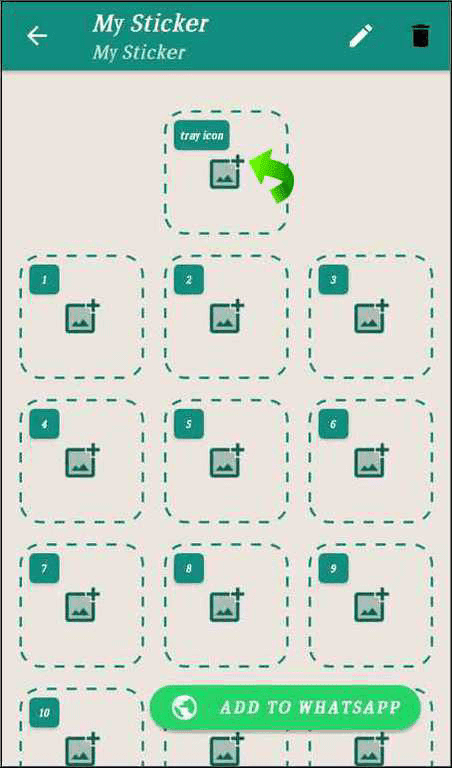 Step 12 : Follow the green arrows in the images. 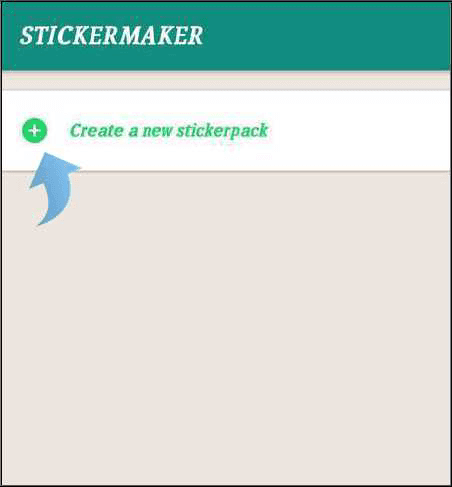 Step 13 :Here in the below image you will be able to see your sticker that you have created recently. Simply follow the green arrow. Click on it. 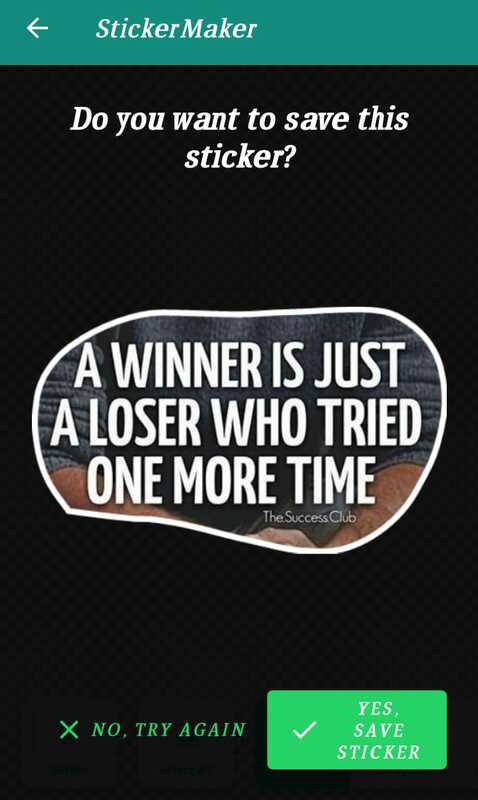 You will see your stickers. Now you can send these stickers to anyone. So , In this way you can create your own stickers on Watsapp. 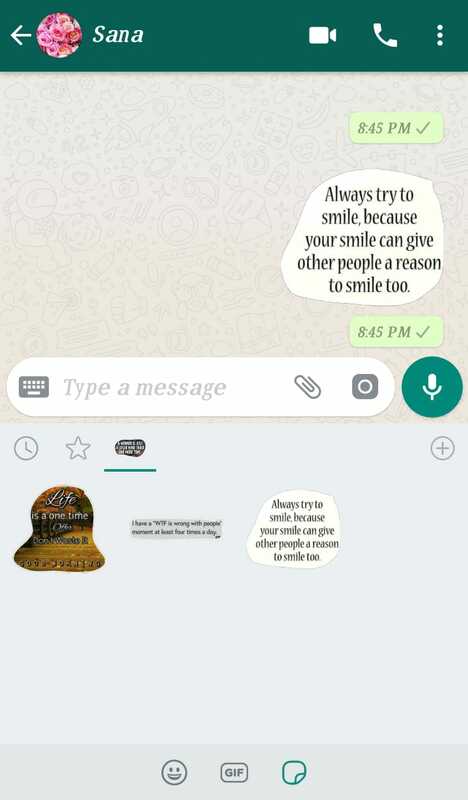 You can use your own private pictures also like your face, body etc. I hope , you have learned something from this post. 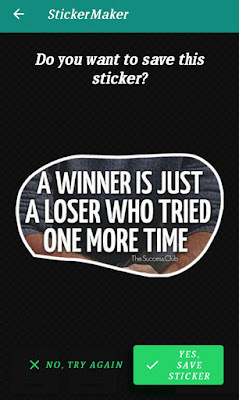 Comment below and show what Stickers you have created. If you are a newbie and sometimes you want your own made stylish button for your blog. You spend lots of time creating that simple button and sometimes it takes your whole precious day. Earlier , Its used to happened with me too .I seriously wasted lots of my time creating buttons on Notepad , Ms-word etc..etc.But slowly and slowly I come to know that I am just wasting my precious time and can use that time by writing Blog posts.I got my solution. Some newbies on bloggers are lazy too ,so they just start googling to get buttons from the internet . but they don't know that some of the button images falls into the copyright category section which is not good for a money making blog. 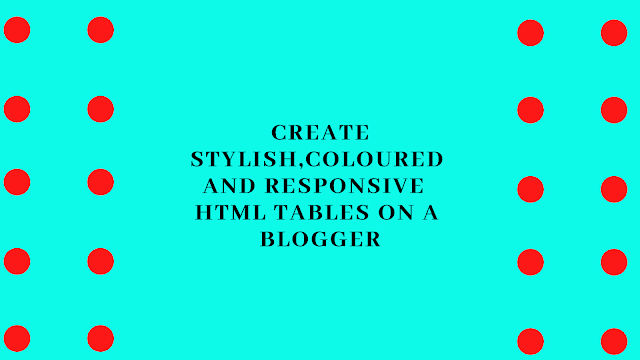 Here in this post I am going to show you how to create beautiful button easily without any specific skills that generally technical professions have with them.I don't want that any other new blogger face this situation and waste their valuable time . Step-1: First go to the website https://dabuttonfactory.com/ . 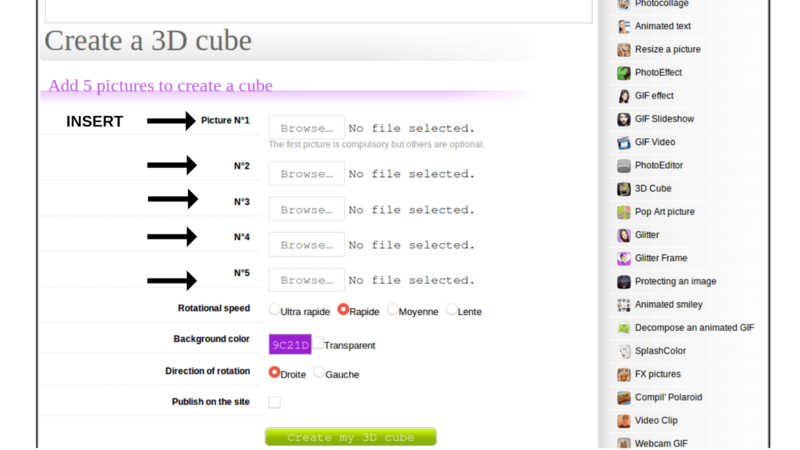 Here you will see the interface of this website. Simple write in the "Text" section shown below ,whatever you want to write on your button. Step-2 : Suppose I am writing "Download" on this textbox. See below image. When I write "Download" on the text box present on the left hand side , the text "written on the button in the middle changes from "Your text here" to "Download"
Step-3 : Now if you want to change the font style or size of the button , you can simply do that by giving your own size or style , horizontal or vertical padding to the button by clicking the options on the left side. The middle button will change according to your customization. 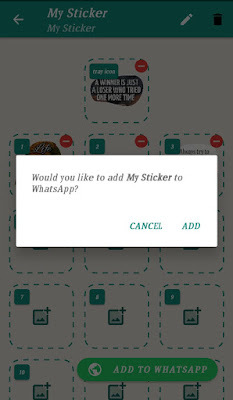 Step-4 : Now , lets come to the right side , On the Right hand side you will get the option whether you want to get rounded or curved corners of the button or just simple button. Here you will also get the option of to change the background colour of the button . There are four types of options available here to change the background colour of a button. 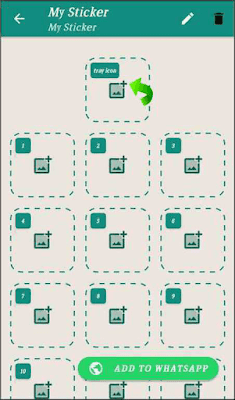 Step-5 : Use any of your choice. After you have created your button . 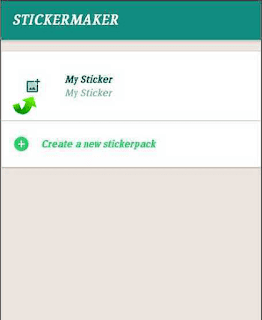 Click on the download button given below to download the customize button. Step -6 : Open your blog and upload that button. If you want to give some link to the button , you can also give as per your need. The buttons which I have created to show you while posting this tutorial are all uploaded above. You can also make it and save your time. First of all open your blogger dashboard >> Layout >> Add a gadget >> HTML/Script >> paste code >> save .Stepwise process is shown below. 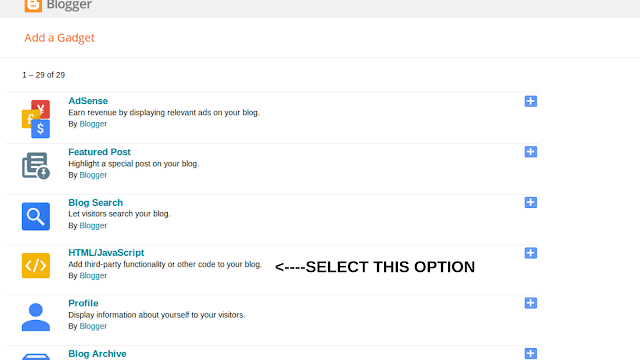 Step-1 : First click on the layout menu from right side bar of your blogger panel. Step-2 : Then click on "Add a gadget" which is present on the right sidebar. 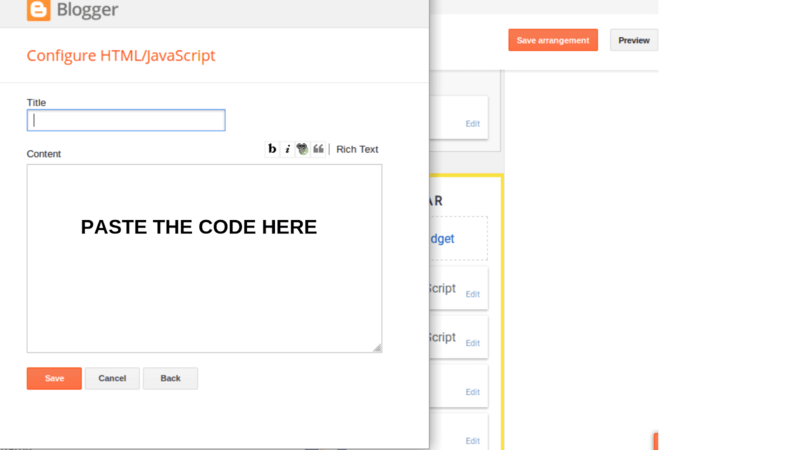 Step-4 : When you click HTML/Script , You will see the another screen given below. Simply copy the code given below and paste it here. Step-6: Then copy this code from above and paste it into the box which is shown in Step-4 and change the link which I have highlighted above with your own page link and title of your post . Click save button. After clicking save button. You will able to see this widget in your blog. Hello ! Everyone , I think you have already seen the picture given above and might be thinking that how I have made it .Its preety simple .Today in this post I am going to teach you about an important platform for both Blogger as well as Wordpress users through which you can create different covers,Flyer etc and many more images or pictures for your site. Its very Important to make attractive images for your blogs , Its not only attract eyes , It also convince the visitor to browse through your website at a glance. Step-1: First login to CANVA website.This is how the homepage of a canva site looks like. Step-2: Login to CANVA by using your Gmail account or by using Facebook account . After login you will see the interface like this. 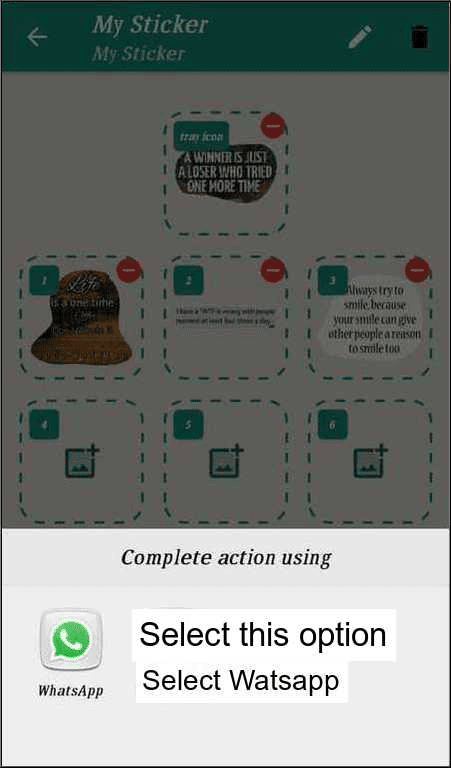 Step-3: Now simply click on the Social Media option from the Recommended menu..You can select any other option depending on your needs.Here we also have a custom image size option and you can use that option too . After selecting Social media , you will see the screen like this given below. 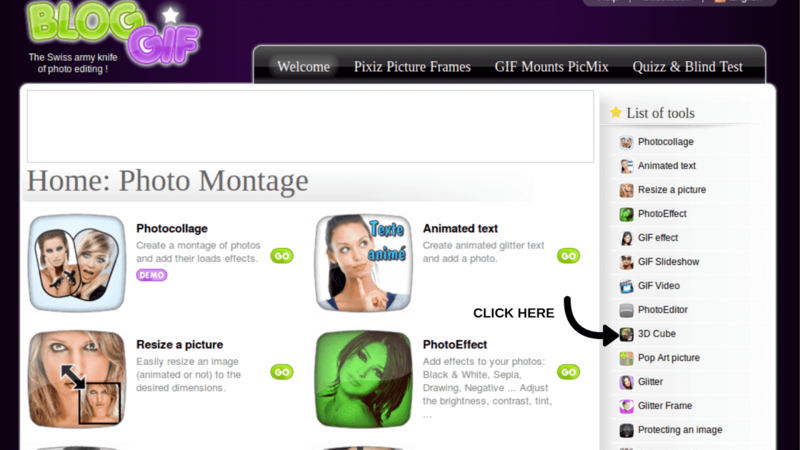 Step-4: Now click on any images from the left side. make sure you select the free images only otherwise you will have to face the copyright issue.I have selected one of the pictures from the left side. 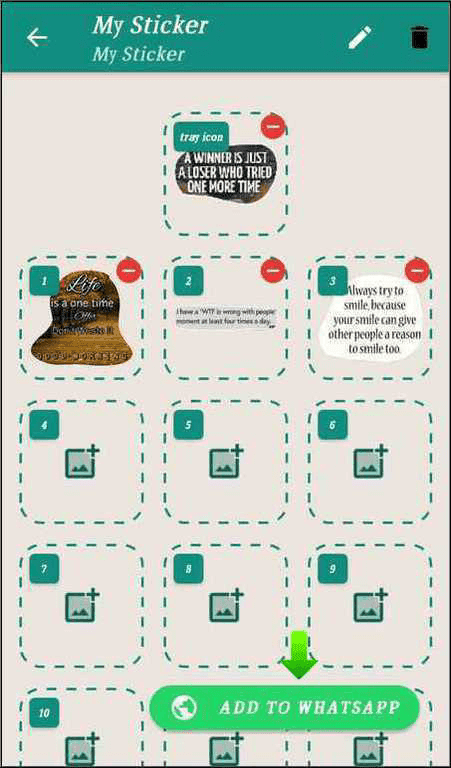 Step-5: After selecting the picture , we will do some editing according to our choice. Here we can change background colour, text colour, size, font style etc and many more.I have changed the background of the above image and some text by using the tools from the left section.This is very simple . 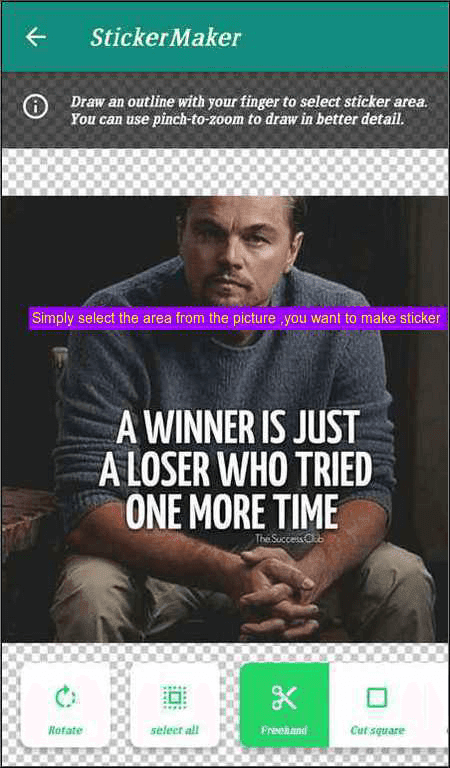 Step-6: After editing , I have made the picture in a less time without any skills like photoshop.If you want to download this picture,simply go to the download button which is along with publish button. After download , you can use this pictures in your blog or whatever place you like. 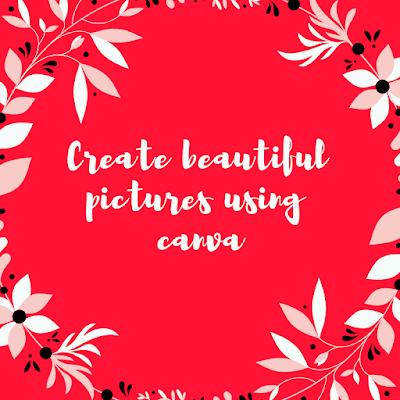 The downloaded picture which I have made is ,I think you already have seen on the starting of this page.If you want to make pictures in your cell , you can also download this Canva app from Google Play Store.This is how you can create an image through canva platform.